Have you tried baking on your Weber grill? 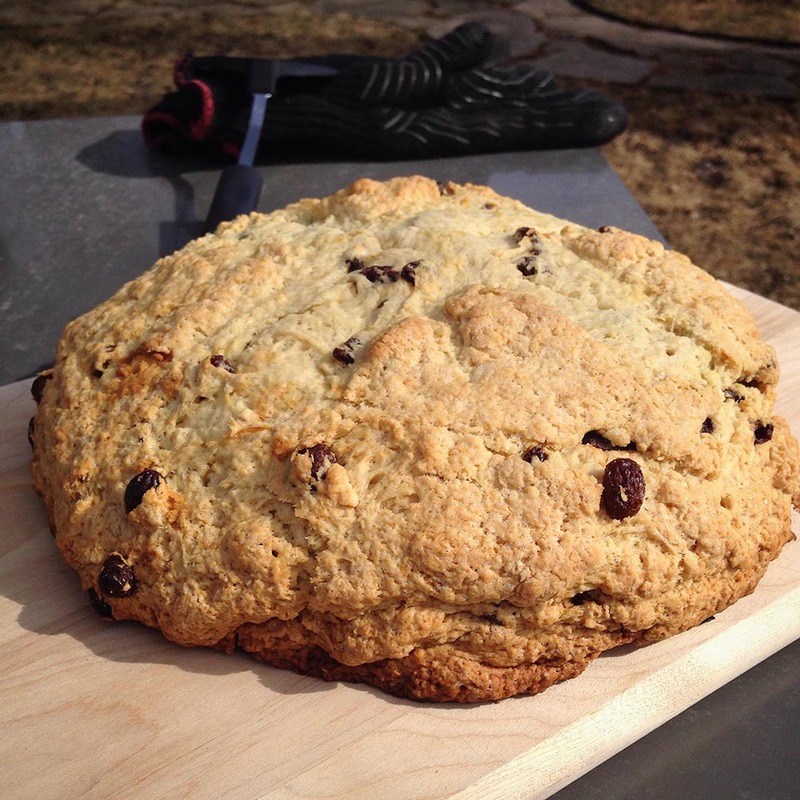 It's easier than you think and Irish Soda Bread is the perfect recipe for your Weber! This family recipe from one of our Weber employees is so simple it's practically foolproof. Be sure to bake the bread using indirect heat, and if you don't have the Weber Gourmet Barbecue system, you can simply place a cast iron pan on your grill instead. 1) Preheat the grill to 350 degrees, spreading the charcoal in a ring, leaving an indirect heat zone in the middle of the grill. Grease the GBS griddle or a 9- to 10- inch cast-iron skillet or a large baking sheet. 2) Combine flour, sugar, baking soda, baking powder and salt in a large bowl; make a well in the center. In a smaller bowl, combine butter, buttermilk and egg. Add the liquids to the dry ingredients, pouring it into the well and stirring to form a soft dough. Add raisins and mix lightly. 3) Transfer batter to the griddle, and with lightly floured hands, shape it into a ball. Slash an ‘X’ across the top. 4) Carefully place the griddle in the center of the grill over the indireact heat zone. Close the lid and bake until set, 50-60 minutes. Click here for more tips about how to bake on your Weber grill!